The Factions tie-in event for Burning Tides has concluded. The summary results are copied below. I’ve also set up a proper event page, for record-keeping. 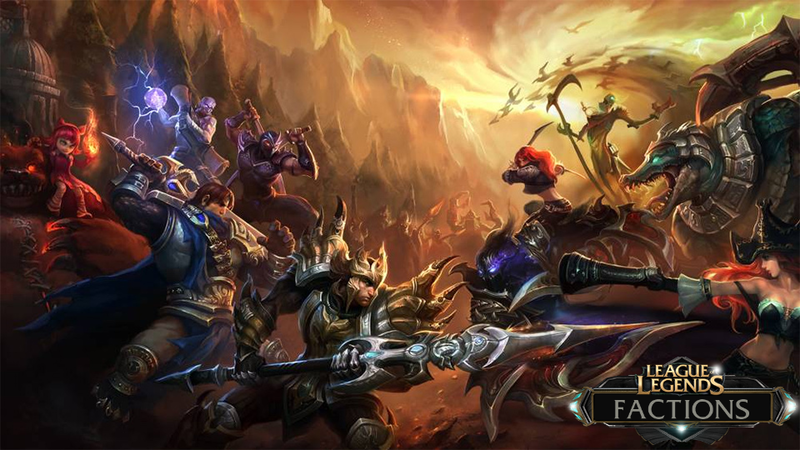 Two sets of matches were held: the first on Butcher’s Bridge, focused on the distribution of power within Bilgewater, and the second on Summoner’s Rift in Black Market Brawlers matches, focused on the representation of Bilgewater within the League. These matches determined the ownership of the Slaughter Docks and Butcher’s Bridge itself, along with its two nexuses. More broadly, these matches decided who would hold greater power within Bilgewater, and informed the overall tone and theme of Bilgewater. The first match was held not on the temporary Field of Justice constructed on the Butcher’s Bridge but instead on the Howling Abyss. The League declined to explain the last-minute substitution, announced by a per curiam ruling of the Council. The ruling noted that the Howling Abyss was thaumically isomorphic to the Butcher’s Bridge, and thus would not meaningfully affect the results. 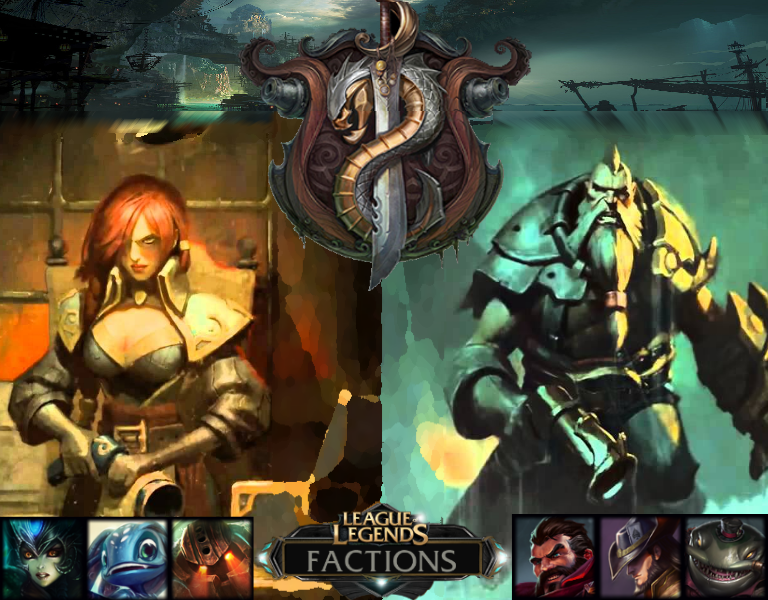 These matches determined who would represent Bilgewater before the League. Accusations were leveled that someone had tampered with the runes that invoked the Razorfins, increasing their ferocity higher than intended. The Riotous Fists Clan has denied these accusations. Both tournaments were closely contested, with a 2–1 victory each day. On August 8, Gangplank secured control over the Slaughter Docks, and with them a considerable cut of the treasure flowing to Bilgewater from Nyroth. Though hostilities continue through both overt and covert channels, it would appear that the Pirate King of Bilgewater has established his dominance within Bilgewater proper. On August 9, Miss Fortune won recognition as Bilgewater’s representative to the League, giving her principal control over Bilgewater’s international actions. However, Gangplank retains the network of influence that he built up over years as a League Champion, and many expect a challenge to Miss Fortune’s position—assuming one or the other of them does not settle matters with cutlass and pistol before then. These outcomes will definitely be up for revisiting when Bilgewater next appears in an arc. Nor are they absolute: Miss Fortune still has a foothold back home, and Gangplank isn’t about to give up his hard-earned political capital just because he doesn’t get his name written on the namecards in the general assembly chambers. For the time being, Bilgewater itself is going to become a more “Gangplanky” place, playing up the darker, gritter side of Bilgewater. Meanwhile, Bilgewater is going to keep some of that “friendlier” feel from Nyroth on the international stage. 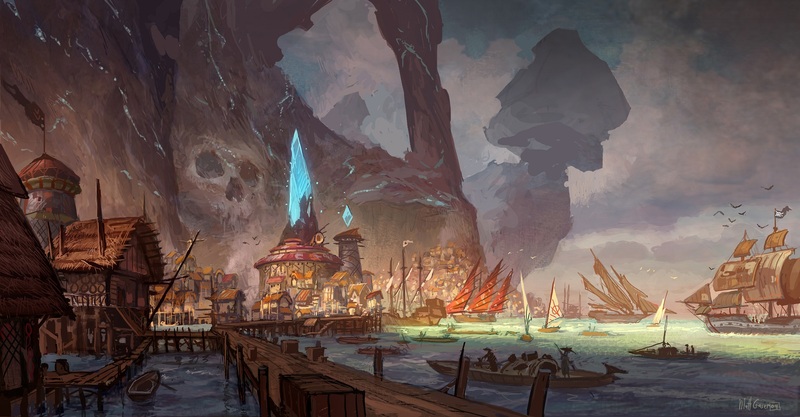 And, of course, per the decision by Bilgewater’s Summoners at the end of the Nyroth arc, Bilgewater will remain decentralized, with the Marai and the Atlanteans largely free to do as they like. I’m noting this mostly to correct misconceptions that we’re making Gangplank the absolute unchallengeable tyrant of Bilgewater. (Good luck imposing that kind of regime in freaking Bilgewater.) Nor is Gangplank now powerless internationally. Especially with these 2–1 results, we’re taking a more measured tone. I would editorialize by saying that these results are probably the most “conventional” options—that is to say, the most obvious choice we’d have gone with if we’d skipped this event and just imported Burning Tides as-is. Gangplank is the Pirate King, but Miss Fortune is still pursuing her vision of a unified Bilgewater respected, or at least not openly mocked, in the international arena. Sure, it would have been interesting if the results had been stranger, but this set of outcomes is nice in that it’s easy to work with and doesn’t represent a drastic break from prior lore. Sometimes it’s nice when people don’t roll 1s or 10s! You can discuss this event on the forum thread. Thanks to everyone who participated! It was tremendous fun.